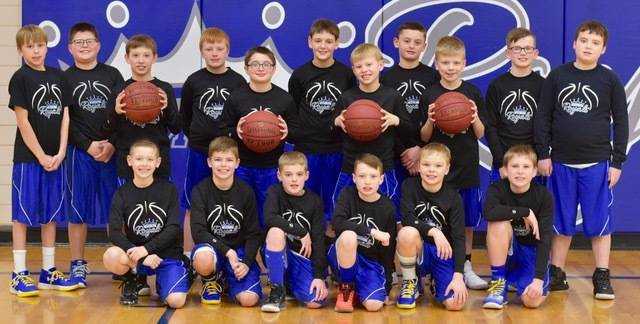 MMCRU Third Grade Boys' Basketball Team. Front row, from left: Conner Galles, Jacob Pick, Eli Harpenau, and Gavin Poeckes. Back row, from left: RJ Krier, Sawyer Aduddell, Joshua Peterson, Boston Colling, Luke Kintigh, and Hayden Toenges. Coaches for the team are Chris Poeckes and Eric Harpenau. 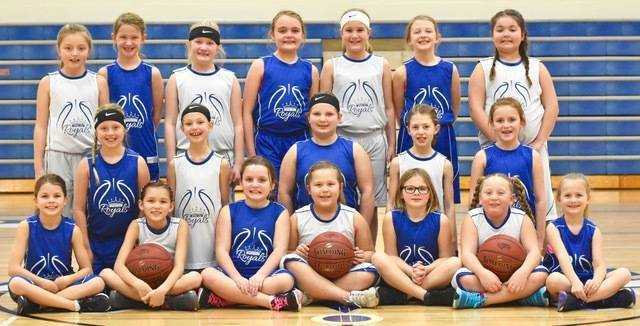 MMCRU Third Grade Girls' Basketball Team. Front row, from left: Ella Draper, Rylee Smith, Ava Prescott, Lexi Gotto, Karlie Loutsch, Brea Nicks, and Erin Thiele. Middle row, from left: Tia Tentinger, Hayden Oswald, Tapika Nothem, Kara Moos, and Gracie Schroeder. 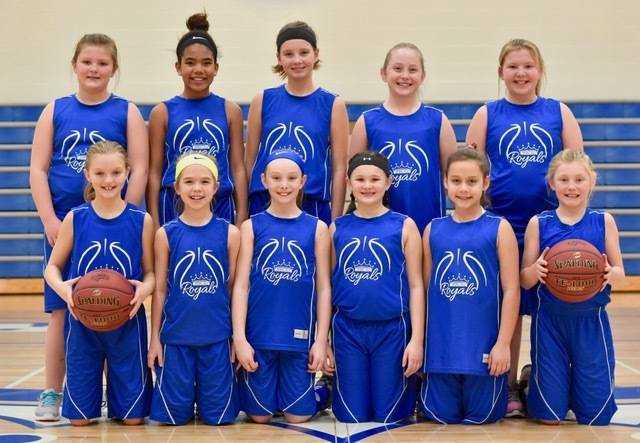 Back row, from left: Jordyn Neddermeyer, Brielle Lux, Aubrey Dirks, Kaylee Simons, Chloe Alesch, Aleah Lux, and Bella Loutsch. MMCRU Fourth Grade Boys' Basketball Team. Front row, from left: Cayben Olson, Kamden Bork, Mason Carver, Parker Glassmaker, John Schmillen, and Max Schnepf. 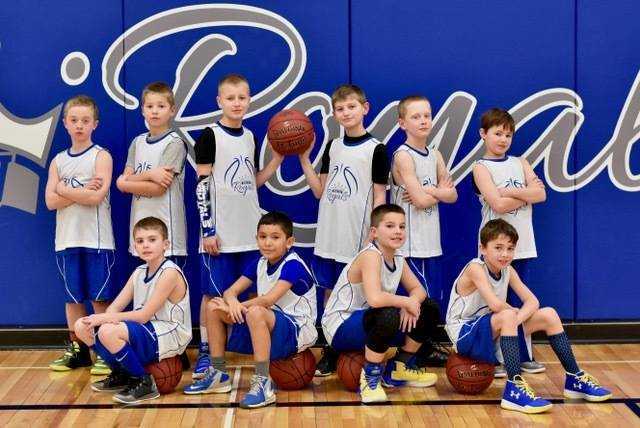 Back row, from left: Wyatt Alesch, Lukas Peterson, Brandon Dreckman, Eli Schlenger, Brayden Dunn, Ben Tentinger, Michael Schmillen, Brayson Mulder, Blake Barinsky, Mason Hill, and Carter Astidias. Coaches for the team are Joe Schlenger, Josh Hill, Joel Carver, and Bruce Dreckman. MMCRU Fourth Grade Girls' Basketball Team. Front row, from left: Alisa Rupp, Sadie Youde, Kaleigha Dreckman, Rylie Spenner, Madi Johnson, and Lana Florine. Back row, from left: Brianna Schultz, Riley Groves, Emma Erickson, Lauren Galles, and Haley Olson. Coaches for the team are Heather Youde and Nick Galles. MMCRU Fifth Grade Girls' Basketball Team. Front row, from left: Isabelle Richardson, Addyson Pigott, and Breanna Staab. Middle row, from left: Brielle Myears, Deanna Partridge, Brooklyn Miller, and Sidney Krier. Back row, from left: Kylie Harpenau, Olivia Flewelling, Jasmine Hendricksen, Allison Astidias, and Audrey Etter. Coach for this team is Eric Harpenau. MMCRU Sixth Grade Boys' Basketball Team. Front row, from left: Ethan Shea, Cody Evans, Dawson Pick, Mason Peters, Caleb Kamphoff, and Noah Galles. 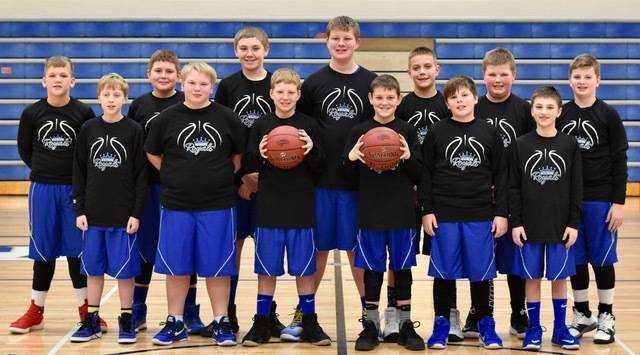 Back row, from left: Mason Roberts, Owen Schroeder, Cody Simons, Mitchell Schnepf, Jonah Petersen, Dylan Dirks, and Kyler Bork. Coaches for the team are Shane Bork and Chris Schmid. 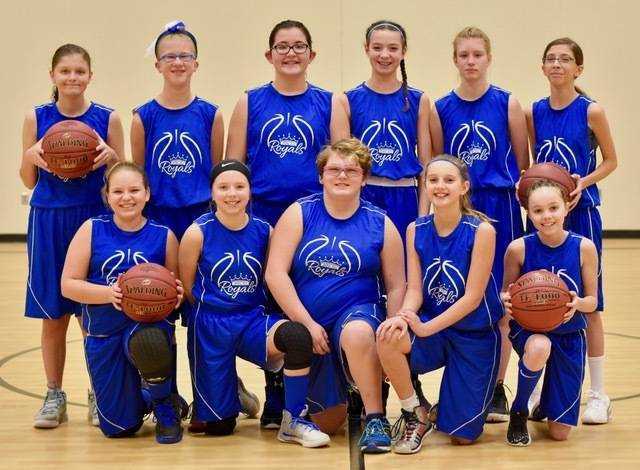 MMCRU Sixth Grade Girls' Basketball Team. Front row, from left: Kaleigh Gravenisch, Mykin Youde, Jordyn Holsinger, Kysa Jochims, and Miranda Ross. 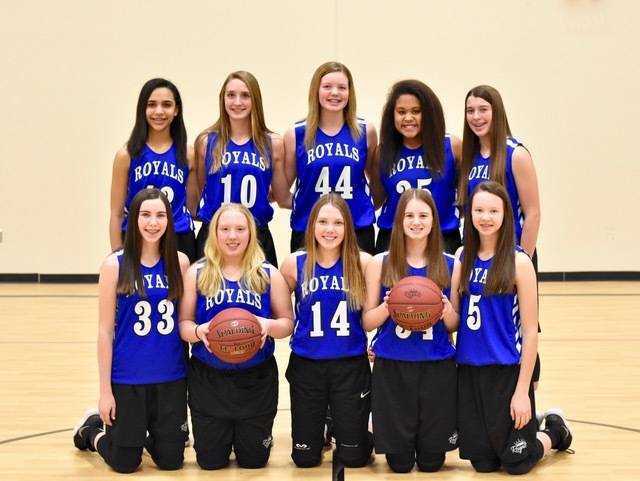 Back row, from left: Katelynn Reiter, Luci Haaven, Andrea Penning, Whitney Jensen, Natalie Plagman, and Diamond VanDerSchaff. Coach for this team is Colin Youde. 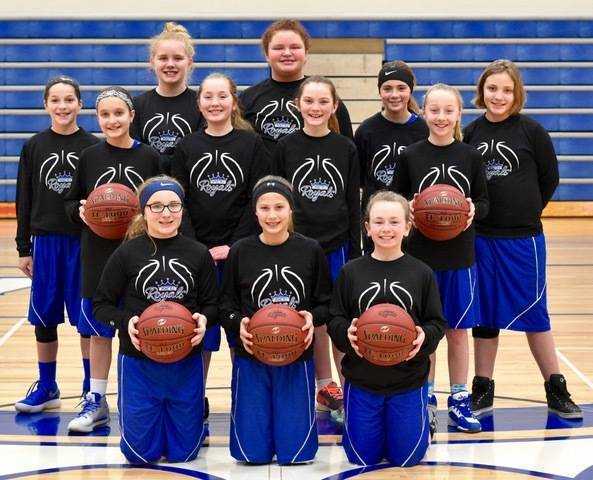 MMCRU Seventh Grade Girls' Basketball Team. Front row, from left: Kora Alesch, Ella Ruba, Manager Emma Vasher, Olivia Ney, and Caedyn Henrich. Back row, from left: Hannah Pigott, Hannah Neddermeyer, Avery Schlenger, Torey Tentinger, Emma Reuter, and Isabelle Olson. 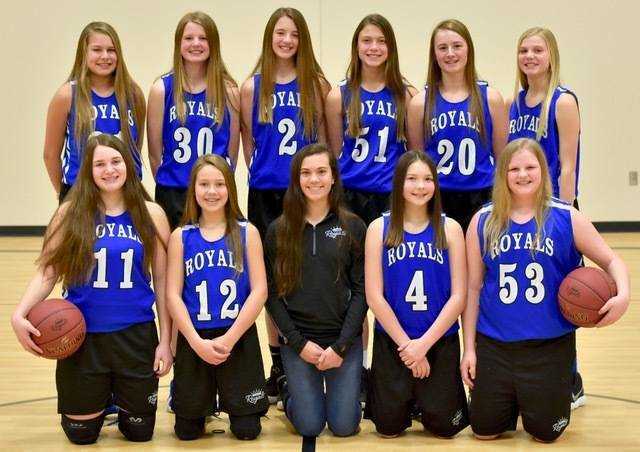 MMCRU Eighth Grade Girls' Basketball Team. Front row, from left: Autum Bonnstetter, Makenzie Meyer, Kirsten Letsche, Ellie Reuter, and Regan Peters. Back row, from left: Darley Carrillo, Emily Dreckman, Ellie Hilbrands, Mya Holmes, and Taylor Harpenau.